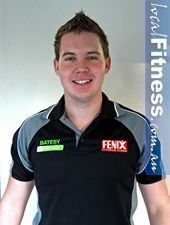 Andrew is a Nerang personal trainer. Andrew completed his training at the Australian Institution of Fitness. He has participated in the Australian track and field team for three years and has also been active in various sports activities such as AFL football and surfing. Andrew's favourite type of training is Boxcerise. His hobbies include cooking, listening to music, playing video games and spending time with his girlfriend of six years. Having AFL football experience, I love to incorporate team training in my sessions. I aim to leave my clients feeling and looking great. You need to tone up and get fit. You want to feel great and get re-energised. 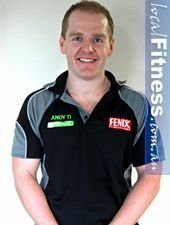 Andrew is a Nerang personal trainer. Andrew's love during his early years was playing footy in the local community. Through his footy years he won a best and fairest and several premierships in local community competitions. In his early 20's Andrew decided to explore the world and experience many cultures across Canada and Europe. One of his most exciting experiences was competing in running of the bulls in Spain. Andrew has now been in the gym environment since 2005 and has become a fully qualified in 2008. He has worked at a Personal Training studio in Ballarat before making a move to pursue his personal training career on the sunny Gold Coast. I bring a lot of energy to my training sessions with my clients and I always focus on programming fun and knowledgable routines. I coach my clients to achieve their no.1 fitness goals. You want to build up your self confidence through exercise. You want to get back into that bikini or shorts for the beach. You want to gain strength and muscle. 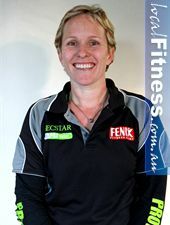 Beckstar is a Nerang personal trainer. Beckstar has played years of touch footy, netball and a whole range of other activities that came her way. She has been a regular aerobics junkie but never really understood why she couldn't lose weight until she started weight training. This realisation and search for understanding lead her to study personal training at the Australian Institute of Fitness. As a personal trainer now, she can never stop learning and continuous to do numerous courses in topics such as nutrition, metabolic precision and many others. Depending on my clients needs I generally base their programs around resistance training to speed up the fat loss and get their metabolism firing. Then combining cardio training and focusing on nutrition, I help my clients reach their goals. You are looking to transform your body and mind. You want to reclaim your life though a fitter and better you. Want to get energised and burn fat! Chrissie is a Nerang personal trainer. Chrissie has spent over 18 years in the fitness industry and loves it with a passion. She believes if we are fit and healthy, it will keep us young at heart. She loves helping people transform their lives and give them control back to all areas of their lives. She loves putting a smile on people's faces and making them feel good about themselves for a lifetime. I include cardio boxing, kick boxing, plyometrics and like to keep the training sessions at a good intensity. My background in group fitness also comes through to my sessions. You want to lose weight and change your lifestyle. You want to train for a specific event. You are looking to transform your body! Logan is a Ashmore personal trainer. Logan grew up playing soccer and athletics. He studied at the Human Performance Centre. He has participated and won numerous competitions including the Junior Nabba MF Australia in 2001-2003 and was the runner up for the Nabba Junior Mr World runner up in 2003. 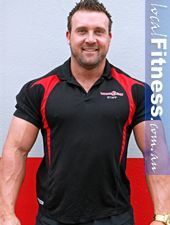 Logan also became the Queensland heavyweight champion in 2006 and 2009 and was the runner up for the Australian IFBB in 2006 and 2009. In 2003, he was the WFF junior Mr Universe champion. Logan is a qualified boxing instructor and has completed his qualification in nutrition and supplementation. Logan is skilled in preparing clients in every aspect of contest preparation. My training style is influenced by my background in bodybuilding, covering all aspects and experience in various sports. I combine all these skills together to get the job done and also include variety and fun at the same time. My aim is to get you motivated and focused. You want to reach your goals in your chosen sport whether it be at a beginners level or elite level of sport. You want to put on quality size muscle and reach competitive goals.